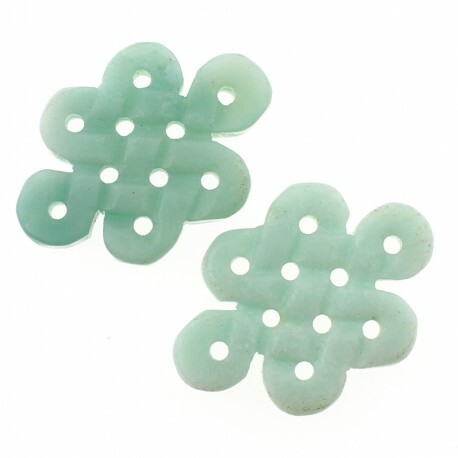 Small knot bead of amazonite. Amazonite stone piece with a special knot-shaped design, which allows you to use it both to assemble jewelry and to make macrame crafts. Size: 3.5 cm x 2.5 cm x 0.5. Weight: 8 grams. The price is per unit.